The adult human facial sebum (oil) contains potent mosquito repellent properties, says a Nigerian facial surgeon, Dr Bayo Aluko-Olokun. Aluko-Olokun, a Facial Surgeon at the Department of Facial Surgery, National Hospital, Abuja, made this known in an interview with the News Agency of Nigeria (NAN) on Tuesday in Abuja. The expert said he made the discovery after conducting studies at the National Post Graduate Medical College of Nigeria, Lagos, in 2015, by testing the reaction of life mosquitoes to sebum-coated paper. According to him, he applied the sebum to a piece of paper and placed beside another with no substance applied in a transparent 70ml glass bottle. ``Evidence of mosquito bite is often seen on the face of children in the third world. This is rarely seen in adults as adults produce copious facial skin sebum in contradistinction to children. ``Five live mosquitoes were introduced into the bottle and the highest number of mosquitoes standing on each piece of paper at any point in time was noted over 50 minutes. ``The total length of time in seconds, during which there was at least one insect on each piece of paper was also noted and comparison of the results was then done. ``Up to three mosquitoes perched on the uncoated paper at the same time while none did on the sebum-coated paper. ``The total period of time during which at least one mosquito was found perching on the uncoated paper was 2851 seconds out of 3000, while zero seconds was recorded for the sebum-coated paper out of 3000. ``The results of this preliminary study appear to indicate that human facial sebum holds promise as a mosquito repellent and this calls for further study of this phenomenon,” Aluko-Olokun said. He said that this finding was published in the Volume two, 2016, issue of the Research Journal of the University of Mauritius. He said presently, the Department of Chemistry and Entomology, University of Ilorin, was carrying out further studies on the properties of the sebum to reveal the active principle. However, he called on stakeholders and the international community to key into the discovery by undertaking more studies and research on the properties of the sebum as a likely repellent against mosquito bite. 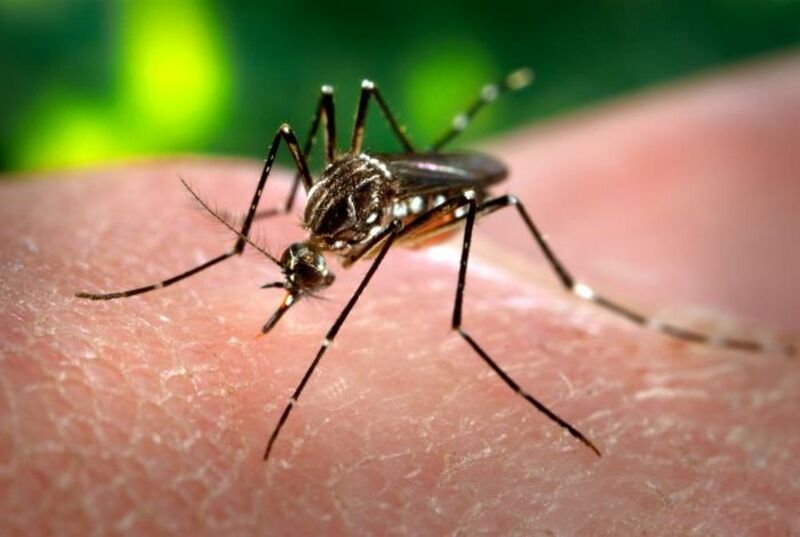 He said that this study could help end the scourge of diseases caused by mosquito bite such as malaria, dengue fever, Japanese encephalitis and the microcephaly known as the Zika virus. He said that the dengue fever afflicted up to 580 million individuals yearly while the Japanese encephalitis had a fatality rate of 0.3-60 per cent. According to Aluko-Olokun, malaria accounts for more than a million deaths yearly mostly involving children. He said that the search for a cheap, natural, effective and harmless alternative to currently available proprietary products could yield positive results and benefit for the people. Aluko-Olokun said that apart from its medical implications this finding could also have positive effect on pest control in the pharmaceutical, food and beverage industry.